Click HERE to download the 2019 Event Calendar! Above photos by Katie Trafton. Above photo by Alden Corrigan. Photos on the Horse Park Web Site are the intellectual property of Mark Muntean, unless otherwise stated. All rights reserved. The south section of the lower level cross-country courses are OPEN (Intro - Prelim) starting Fri., April 19th! Please use caution as this is the first grooming of the year. We will continue to complete track maintenance as time permits. Updated Sat. 4/20: Four Winds, Four Winds Annex, Polo, Whiskey Hill & Mountain Home are OPEN. 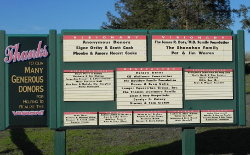 Weeks of April 22-May 5: Woodside Spring Hunter / Jumper Series! HPW Member Arenas are Polo & Mountain Home. Updated Sat. 4/20: Perimeter Trail OPEN; South section of the Cross-Country courses (Intro-Prelim) are OPEN & Exercise Track is OPEN. South Lunging Pad is OPEN. North section of the cross-country course is CLOSED for jumping. 2019 Cross-Country Maintenance Schedule - Coming Soon! Please remain alert to your surroundings, do not leave valuables visible and notify the office of any unusual activity on The Horse Park grounds! Open position for Development Manager - Click Here for full job description. The Horse Park is a 501 (c)3 non-profit organization dedicated to land preservation and equestrian sport. 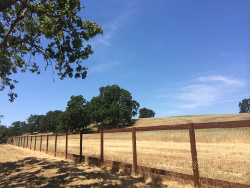 Our land stewardship includes, erosion control and native plant restoration while our equestrian programs encompass all that a premier equestrian facility has to offer: an international level cross country course, state-of-the-art footing, a covered arena, 9 arenas and much more! 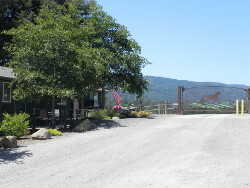 We are unique to California and the west coast because we boast 272 beautiful acres, right in the heart of the San Francisco Bay Area that is conveniently 2 min from a major highway while seeming to be miles from everywhere. In an effort to maintain this equine treasure, The Horse Park offers low cost memberships for both horse riding and training as well as for dog walking, but donations to this non-profit are what have made this beautiful park thrive. Everything we achieve, we do so because of generous individuals that share our vision and dedication to providing opportunities for educational, recreational and competitive activities in a variety of equestrian disciplines. We believe that The Horse Park at Woodside provides a balanced platform for the growth and development of youth and adults alike. Please read The Horse Park at Woodside's Park, Dog and Cross Country Rules. These rules are in place to protect the rider, horse, and the integrity of the cross country course. 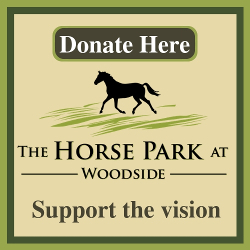 The Horse Park at Woodside is a nonprofit 501(c)(3) that provides opportunities for educational, recreational and competitive activities in a variety of equestrian disciplines that encourage the growth and development of youth and adults.